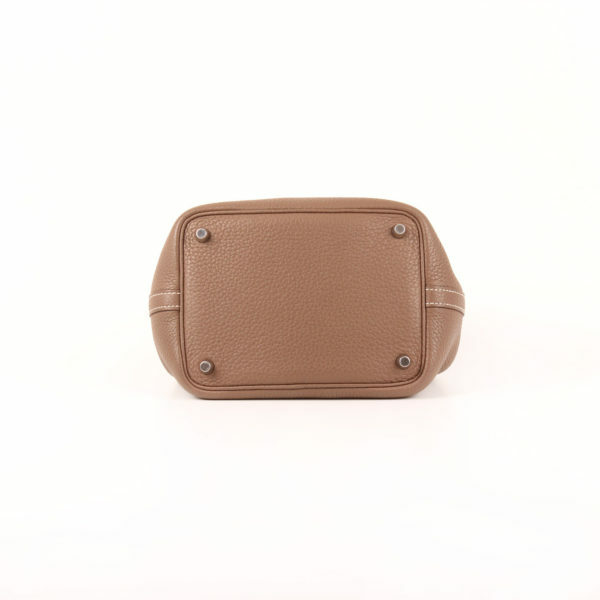 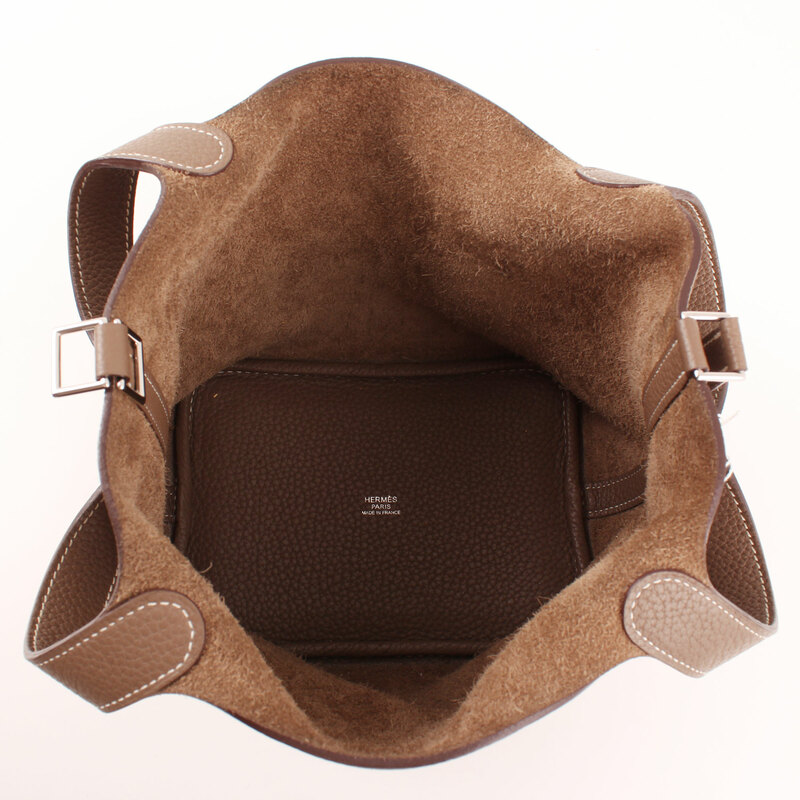 Hermès Picotin MM Lock Bag in Taurillon Clémence leather Taupe. 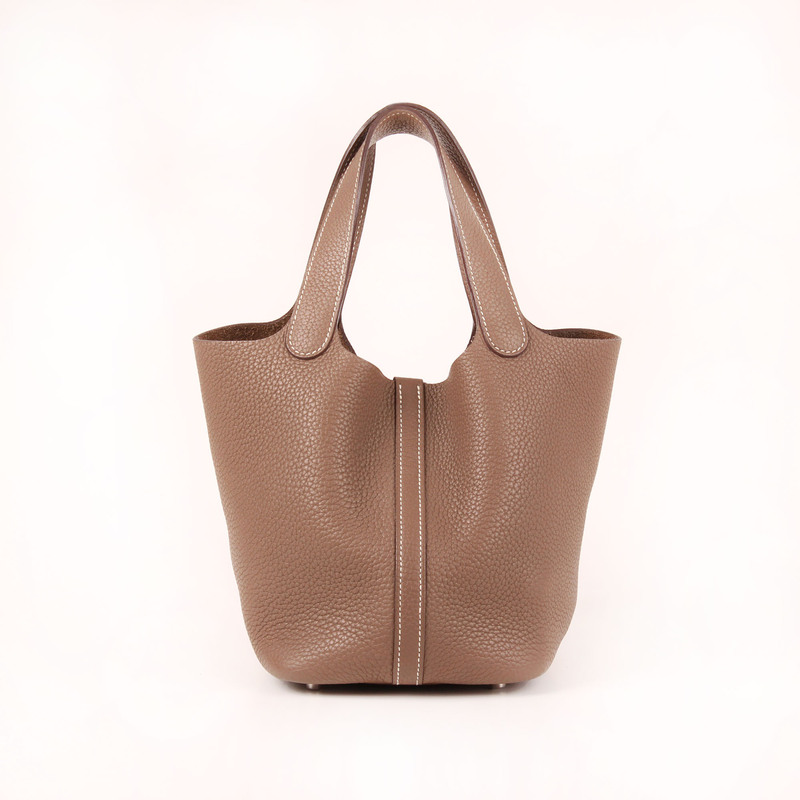 A different, lasting tote; almost brand new. 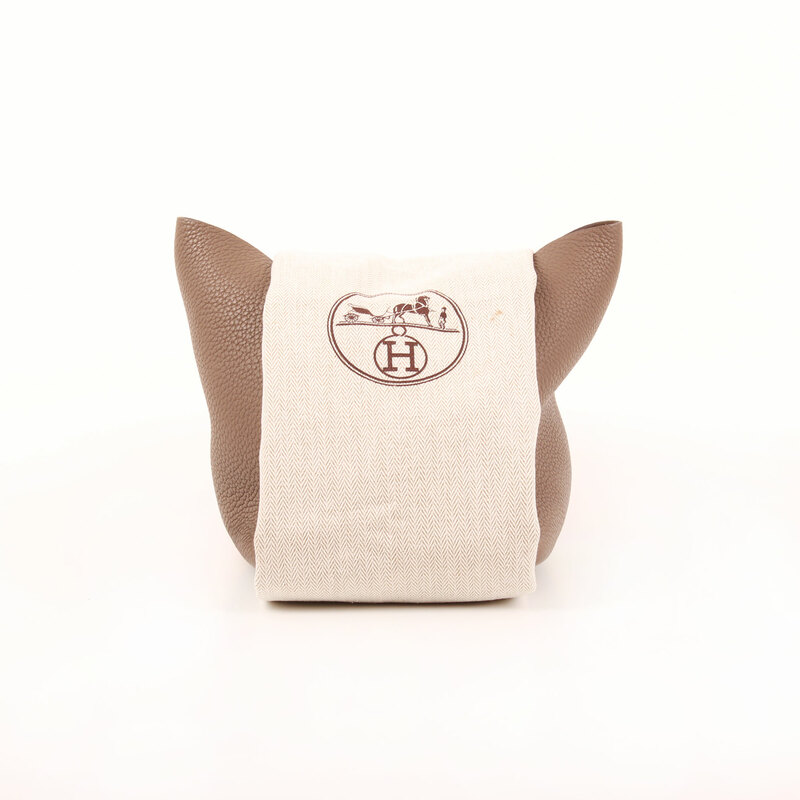 The Picotin MM Lock Bag is a laid-back, easy to wear model. 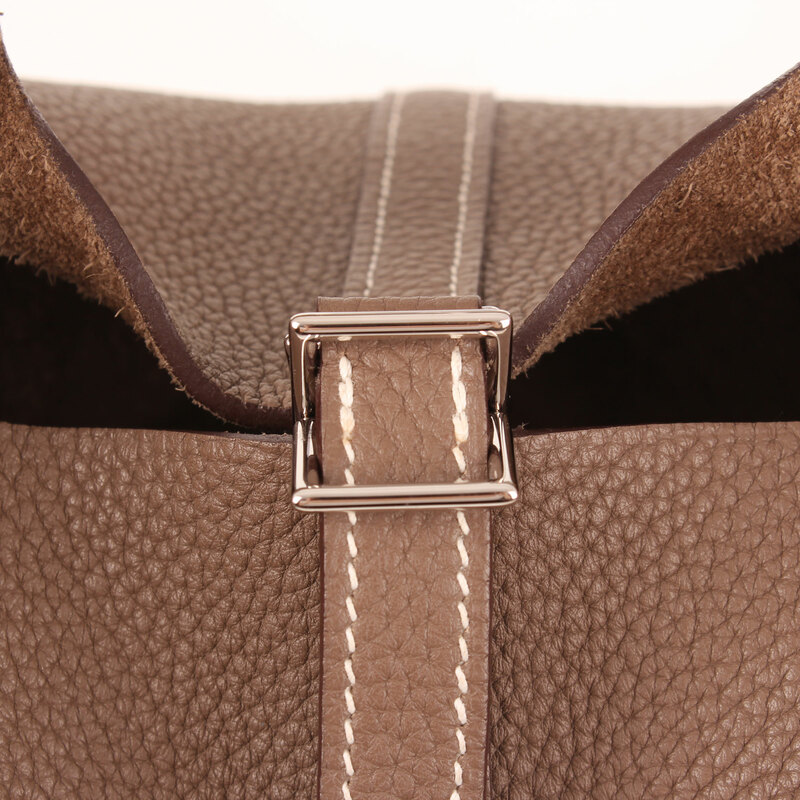 Made in Taurillon Clémence leather, “Taupe” grey color, this piece has palladium hardware and reinforced base. 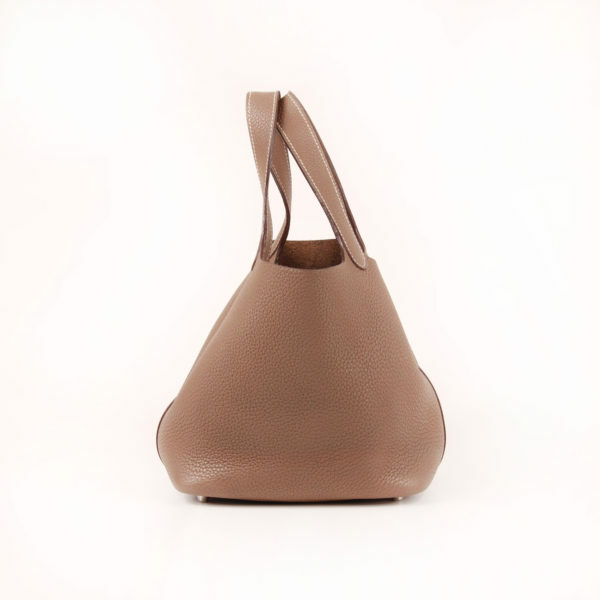 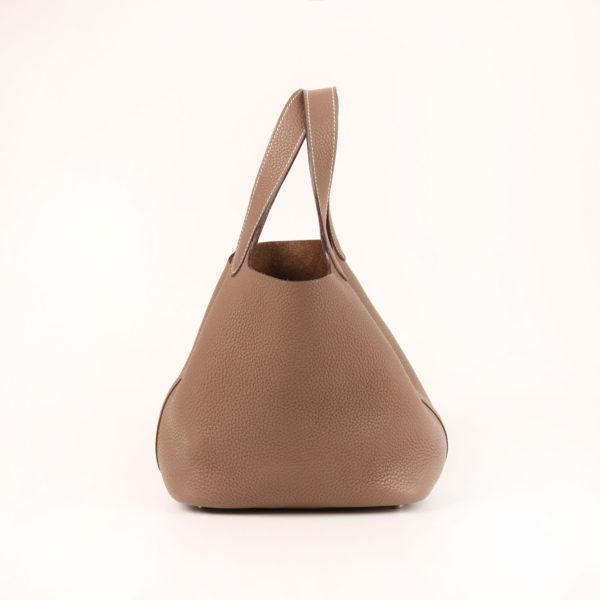 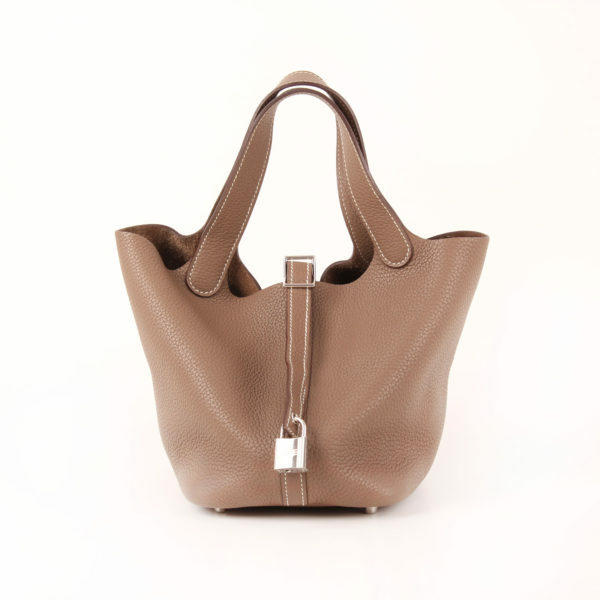 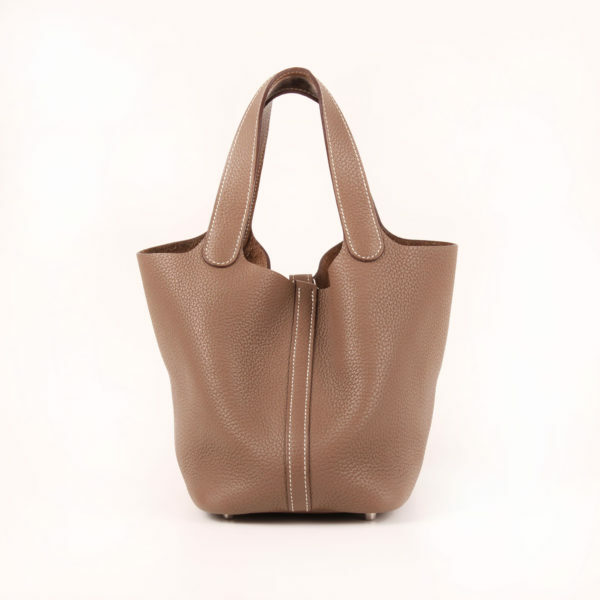 The bag is a tote style item, open at its top, with two short handles to carry and an adjustable strap with lock to close the bag. 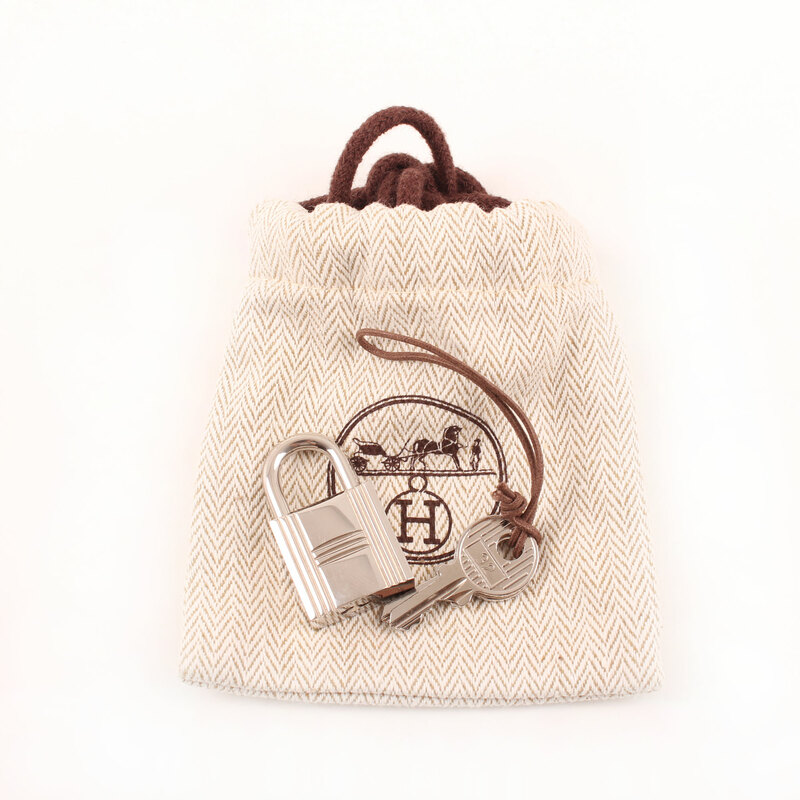 It comes with lock, keys and two dustbags, a big one for your Picotin and a smaller one for the keys. 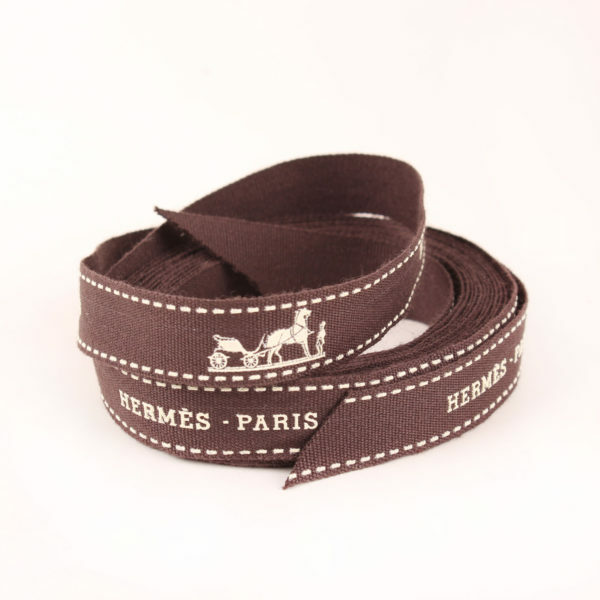 It also has a lace with the “calèche” motif from Hermès. 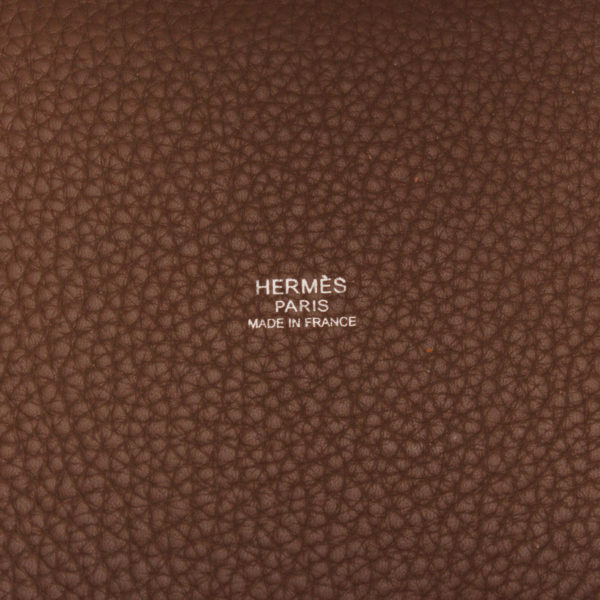 Includes: Lock, keys, large and small dustbag and Hermès lace.